Laughter is the best medicine, at least that’s what people who practice Laughter Yoga say. Laughter Yoga is the unique combination of laughing and yoga breathing that has been growing steadily in popularity around the world. The main idea behind Laughter Yoga is that the body cannot differentiate between fake laughter and real laughter. According to Dr. Madan Kataria, the inventor of Laughter Yoga, real or fake laughter reduces mental stress, can ease pain, and promotes healing. Kataria started the Laughter Yoga movement in 1995 with only a handful of people in a park. Now Laughter Yoga is in 60 countries and there are more than 6000 laughter clubs. Despite the growth worldwide, colleges around Utah have been slow to adopt this form of yoga. Since then the number of Laughter Yoga classes at SLCC have risen to 13, with Bayard as the head instructor. Bayard had already been teaching Laughter Yoga for a few years at this point. She first became interested in Laughter Yoga after the death of her brother. While researching Laughter Yoga she came across a training opportunity in Chicago and decided that she was going to just jump in. Bayard believes Laughter Yoga helped her to remove the negative feelings she had from her brother’s death. Hearing about the benefits of Laughter Yoga, Jimenez signed up and tried out the class. Laughter Yoga is not just a free college activity. Students can sign up for the classes as part of their normal school schedule. Students can also become Laughter Yoga instructors. In order to obtain the certification, a student must complete the Intro to Laughter Yoga course and the Certification course. The intro courses can be taken at either the South City Campus or the Taylorsville Redwood Campus and the Certification course is at the Taylorsville campus as well. Bayard realizes that many students might be skeptical of Laughter Yoga but encourages students to check out the class anyway. Free Laughter Yoga classes run throughout the semester. The dates, locations, and times are available on globeslcc.com in the calendar section. 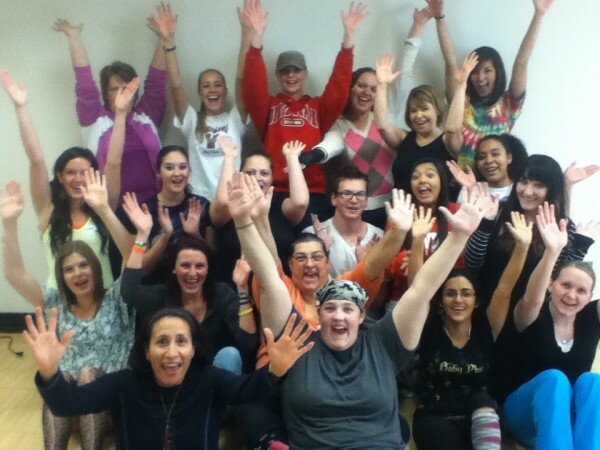 For more information about Laughter Yoga students should go to the class’ website. Is yoga hype or science?